If you are looking to paddle a little further out or catch unbroken waves, then you want to be on a hardboard surfboard. 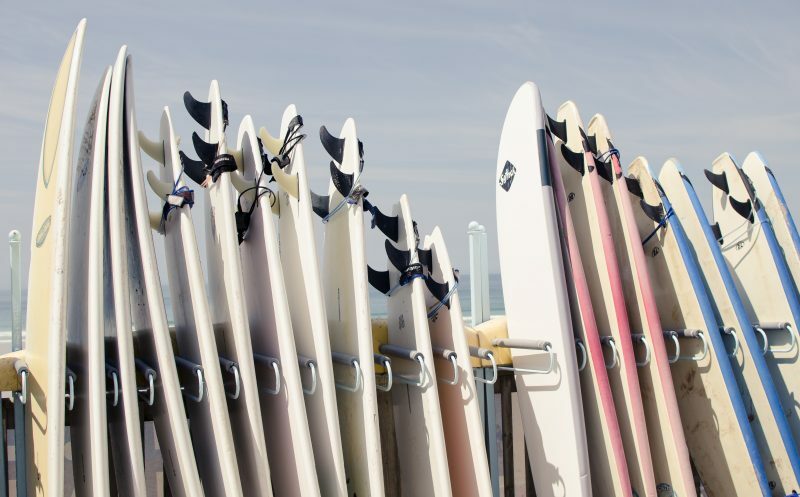 The Fistral Beach Surf Hire Centre stocks a wide array of different intermediate surfboard shapes; from shortboards and eggs to longboards. If you are new to intermediate surfboards, the first time you hire a 7’10” or 8’6″ are good boards to get you used to the new construction. The boards can be used in a variety of wave conditions but ride best in small, clean conditions. Being of a solid construction there is a reduction in volume and bouyancy in comparison to beginner and improver surfboards. The reduction in volume makes a huge difference when surfing, this means that the board is much more responsive to any changes in weight distribution. Intermediate surfboards are a great stepping stone surfboard on the way to getting a fiberglass surfboard. They allow you to get better turns- but that also means that they are not as forgiving if you make a mistake! As you progress with surfboards they become more fragile, so intermediate surfboards should not be ridden into the sand as they can damage the board / fins. They do not damage as easily as a fiberglass board.